Thank you for stopping by! Here you'll find updates, one of a kind pieces, flash sales, and insights into my day to do process of creating these delicate pieces of art. If you'd like to stay up to date, please do sign up for my newsletter here! I'm looking forward to a brand new year. Merry Christmas to all! Stay tuned for more updates and pictures. 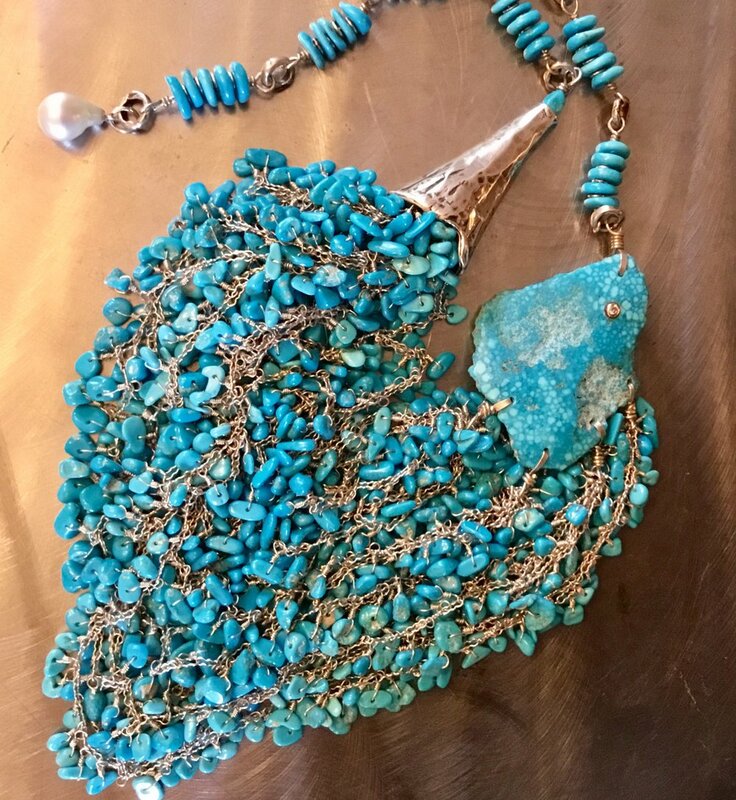 Sleeping Beauty Turquoise and DIAMOND!! Elk Antler cuff with sterling crosses. 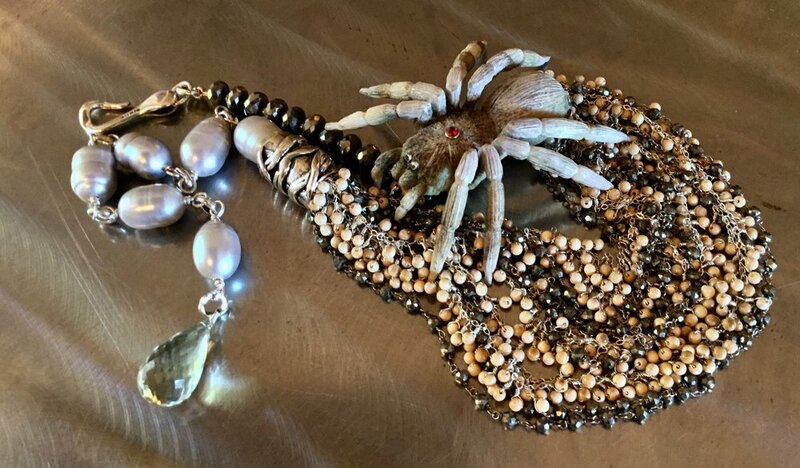 NM tarantula with ruby, Mammoth Ivory (AK) , pyrite, pearls, and the fabulous Alina silver findings. Just setting up my website and will continue to feed into it my most recent ideas and creations. Look for exquisite designs, one of kind pieces, natural colors with a rustic, rich, natural look to enhance couture and casual dress sense. I have a special category now for weddings and tango. Many of you know that dance is another passion of mine, Argentine Tango topping the list. Earrings and neck wear accentuating fine feminine lines, depicting many of the traditional steps in tango. Stay tuned as this process develops.